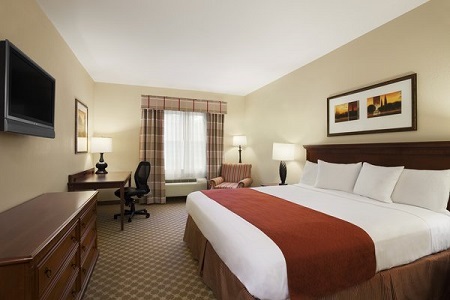 Ideally located off I-293 in Bedford, the Country Inn & Suites® by Radisson, Manchester Airport, NH boasts a convenient location less than four miles from the Manchester-Boston Regional Airport (MHT). Hop aboard our complimentary shuttle, which runs to and from the airport, to make your trip easier. While you’re in the area, be sure to visit the Massabesic Audubon Center, where you can see local animals up close or hike a trail to Lake Massabesic. For an indoor activity, get tickets to a performance at the historic Palace Theatre, just 10 minutes away. You can also tour the Currier Museum of Art, which features a permanent collection of 13,000 works and manages tours of Frank Lloyd Wright’s Zimmerman House. 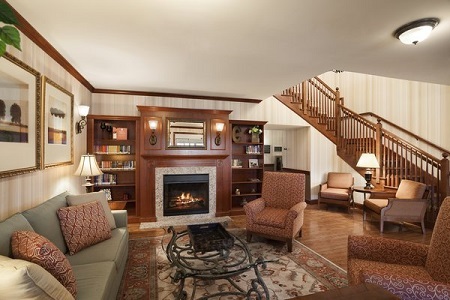 If you need additional space to spread out, book a One-bedroom Suite with a living area and a sleeper sofa. Start your morning with our delicious free, hot breakfast, which features a variety of hot and cold favorites like omelets, sausage, waffles, muffins, fruit and more. 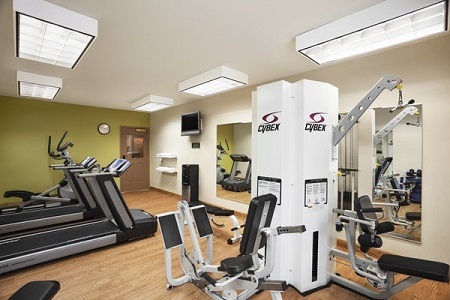 If you’re looking for lunch and dinner options, the hotel is less than two miles from restaurants like Carrabba's Italian Grill, Outback Steakhouse and Chen Yang Li. Currier Museum of Art – Drive about eight miles to the Currier Museum of Art to see an impressive collection of works from masters like Picasso, Monet and Wyeth. You can also schedule a time to tour Frank Lloyd Wright’s Zimmerman House. Massabesic Audubon Center – The Massabesic Audubon Center is a 5,000-square-foot historic farm site located 17 minutes from our hotel. You can see local animals up close at the Massabesic Wildlife Sanctuary or walk the scenic trails leading to the lake. Palace Theatre – Located about six miles away, this prestigious theater has been hosting musicals, Broadway plays, concerts and comedy performances since 1914. Notable past performers include Garrison Keillor and Bob Newhart. Purchase tickets online to ensure you get the best seat! 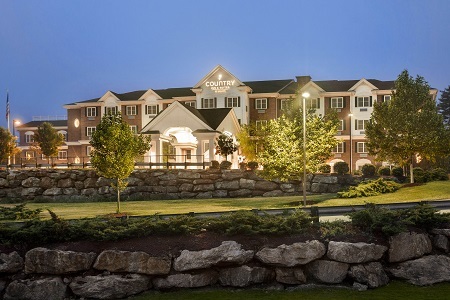 Convenient to both I-293 and the MHT airport, the Country Inn & Suites provides 2,500 square feet of space for your next event. We offer free high-speed Internet access and modern audiovisual equipment so you can easily give presentations and display slideshows. If you need catering or planning assistance, our experienced staff can help guide you through the process.